After an amazing afternoon at the beach, we went to our local Chip Wagon so I could let my Bro experience all the joy that is Perky's Fish and Chips. 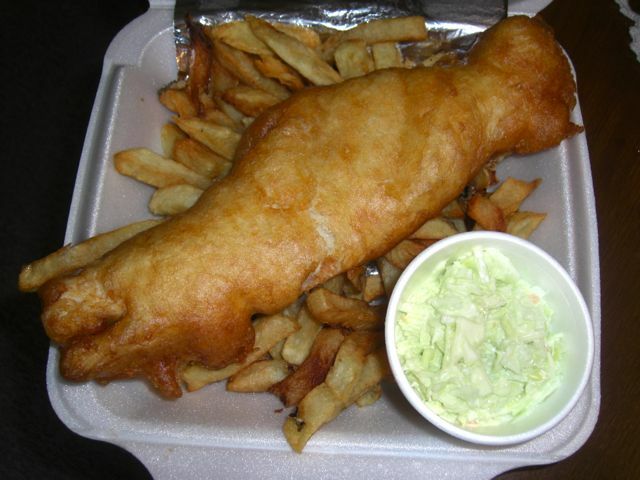 Every time we go there it is the best fish and chips we have ever had. And after a good long swim, it was even more perfect!! Super Yum!! !